The primary function of “metals in hand” is to help offset the possible loss of purchasing power that inflation or a changing business/regulatory climate might visit on a person’s other asset classes, such as the broad stock market, real estate, collectibles, and certainly, bonds. A side advantage, common in India but not discussed in this country, is that gold and silver can be easily be “pawned” when a person might not have other options for a loan. 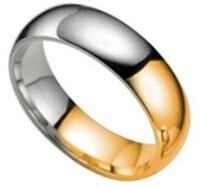 Just like any item left in the pawn shop owner’s care, precious metals can be redeemed when the loan has been paid off. Mining stocks are an entirely different “investment animal.” You’re buying shares in companies who explore for and/or produce precious and base metals. Miners have many inherent risks to overcome, which the metal held in your hand, by virtue of having being refined, has already put behind it. A miner’s profit can be adversely affected by all sorts of variables – operational factors like oil prices, the cost of labor, local community support or lack thereof, government regulations, and even nationalization (theft) of a company’s assets – which often takes place without compensation to the owners, let alone shareholders. A tailings dam collapse or accidental worker deaths can also affect the share price. Over the years, several such companies have seen theirs drop from multiple dollars each, to a fraction of that… or to zero. Some companies bill themselves as “pure silver producers.” The “purest” of these usually produce a fair amount of base metals – lead, copper and zinc – which are added to the profit mix to yield “equivalent silver ounces.” Even the best known examples may list 30-40% of their annual production in this non-silver category. A geologic fact is that silver veins tend to “pinch and swell,” causing ore head grades, and hence the company’s share price, to unexpectedly rise or fall. A big argument for holding mining stocks is that because of their increased risk profile, they can be expected to gain at a greater percentage rate – perhaps several times as much – as do gold and silver. For a number of miners in 2016, that was certainly the case. Yet several of the best ones on the board also declined over 50% during last fall’s inevitable correction to the strong uptrend… which you may have noticed was not the case with the price of the metals they produced. For much of the last 20 years, during which time, precious metals rose by multiples of their early bull market price, mining stocks as a group actually underperformed. So what’s the point of taking on additional risk and doing considerably more work, just to find that you could have made a single metals’ buy-and-hold decision – which performed better with less downside? You should also answer these fundamental questions before deciding whether or not to include miners and metals in your investment mix. What are your financial goals? How much risk are you willing to take? How much time can you spend on the “care and maintenance” of your “garden” of stocks? They can’t simply be purchased and placed in a drawer somewhere. Here are just a few of real-life, high-to-low ranges, stated in U.S. dollars, of share prices for several well-run, profitable miners during the cyclical bear market lasting from mid-2011 to late-2015 – $19 down to $7; $10.30 to $0.28; $43 to $5.38; $13 to $1; $36 fell to $3.30. And did I mention that scores of other companies either reverse-split 20 (or 100):1… or simply went bankrupt? Trading the mining sector is quite literally a job. 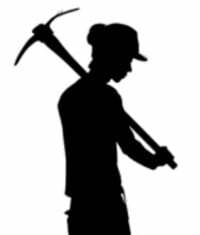 I write reports, take mining tours, read hundreds of articles and evaluations on scores of companies – and trade mining stocks. But that’s my choice. It’s great when shares are rising to the sky, as was the case this past January to August. But it was NOT great when the bottom fell out into December. I am willing to put up with these swings for the possibility of a few home runs, while often settling for base hits, along with the occasional “strike-out.” Do you have the temperament, are you willing to put in the research, can you handle the risk, do you want to give up a lot of the time you could spend doing something else? Perhaps you can answer “yes” to these questions. If not, or the questions aren’t relevant to what you’re trying to accomplish, then you should seriously consider keeping decision-making about the metals, relevant to your needs and goals. *David Smith is Senior Analyst for TheMorganReport.com and a regular contributor to MoneyMetals.com. For the past 15 years he has investigated precious metals’ mines and exploration sites in Argentina, Chile, Mexico, Bolivia, China, Canada, and the U.S. He shares his resource sector observations with readers, the media, and North American investment conference attendees.